While I do love to cook at home; I also really enjoy going out. I don’t mind hitting a fast food or a chain once in a while, I am still fairly picky at which ones I will go to. My fast food go-to is McDonald’s (I won’t even stop at the others) I love their filet-o-fish. I recall my high school softball coach asking me if I was on a diet when we would stop there after away games. Who knew back in the 80’s that fried fish filet would be considered “diet” food. I have already spent more time on this subject than I wanted to; but I have to also mention my kids’ growing up would not let me stop at any fast food restaurants while out and about running errands. Who knew I was bringing up such foodies at such a young age. We are a family of four foodies and we know it! While we, for the most part, are definitely a meat and potato kind of family; we do love to venture out once in a while. When in Paris my husband ordered tongue one day for lunch; that is just plain crazy in my book. I did not try the actual tongue but the gravy was freakin’ awesome! I used to think we were a super odd family; well we probably actually are; but I see more and more of “us” out and about now. When whatever we order is put in front of us, if it looks amazing; we have to wait and make sure to get pictures of everyone’s dish. Over the years I have never really done anything with these photos; I now add them to our photo albums, I should have been doing this all along. 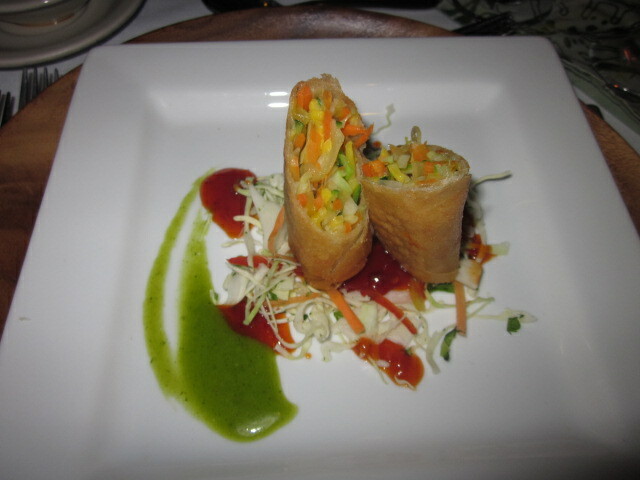 It brings back such fond memories and also inspires us to try to re-create certain dishes. The Pearl has an appetizer Pan Fried Chicken Dumpling’s – I now make a version of Chicken Dumplings. While on vacation, we tend to always head South to somewhere in the Caribbean; we try to always rent a house, cottage or like. And since we are still bringing our kids and paying for them, we try to save a little money and bring quite a bit of food with us so we can cook in. I even pack a cooler with a little dry ice for frozen meat. Trust me if you have a kitchen it is worth it, sometimes you just want to stay in and relax instead of finding a place to eat. Or at least we do, especially after sitting on a beach all day. If you do bring anything from the US please make sure to keep it in the USDA packaging. We ran into a problem once and our cooler got confiscated; we tried to re-pack everything so we could fit everything in a small cooler. We did get everything back and they kept everything frozen for us it just took a couple of days. I do need to mention Paris in here first. I have heard so much about French cooking and chefs in Paris being the best. I don’t think we had the culinary experience that other’s tend to have. 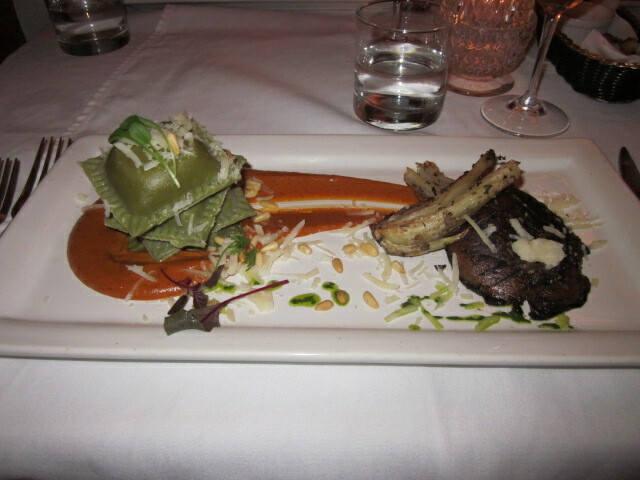 We only had one memorable dinner out and it was in a hotel restaurant down the road from the apartment that we rented. We did have another memorable eat, we were on the town, starving and tired from walking ALL day; Army Museum, Napoleon’s Tomb and the Rodin Museum. We grabbed a bite as we walked to the Arc de’ Triumph. It was ham, cheese, sliced hard boiled egg and pickles. While it looked super dry, it was absolutely delicious. Not sure if it was because we were all super hungry, very tired or if it was just that good. If you are ever near Fairfax VA you must stop and try Coastal Flats appetizer Deviled Eggs. I don’t even like them normally but my sister-in-law told me I had to try them I LOVED them and actually crave them on occasion. I tried to find their recipe so I could try making them at home – so far no luck!!! Here is a listing of some notable favorite that we wish we could go to again! Barbados was my first island experience; my husband and I went there on our honeymoon 25 years ago this December. We were young, no money and not necessarily foodies. I will admit I did have culture shock for the first 3 days. Never going anywhere but Florida and Montreal I thought that the entire island was supposed to be as beautiful as all the pictures. The ride from the airport to our maybe 3 star hotel; was not what I pictured. I am so grateful I lasted past those first 3 days. It is as beautiful as all the pictures. I feel you need to stay on an island to get the “feel” of the island. Which is why we are not huge fans of cruising; we have only been on one and we did have a great time, there were 33 of us for a 50 year wedding anniversary event; which a cruise is the perfect venue for that. We took the kids to Barbados a couple of years ago; we spent 12 glorious days in the most beautiful condo we have ever rented. We cooked in each morning and most lunches if we were on our beach. 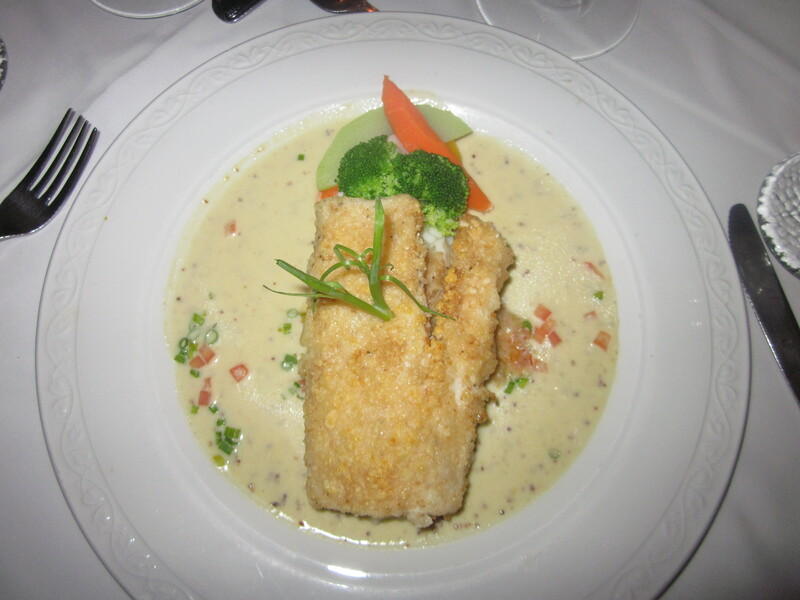 Dinner was a different story – most memorable was Champer’s – so good we went back twice. I had had Barracuda in the Bahamas many years before, at a local fish fry on the beach made by natives; there was a mystique about whether it is safe to eat. The local fish lore that was told to me was that you can only catch barracuda on a certain side of the island when the tide was coming in when there was a full moon; or something along those lines. I ate it anyway and it was delicious. I saw it on the menu at Champer’s and had to go there and try it again. I was not disappointed; it was as good as I remembered. 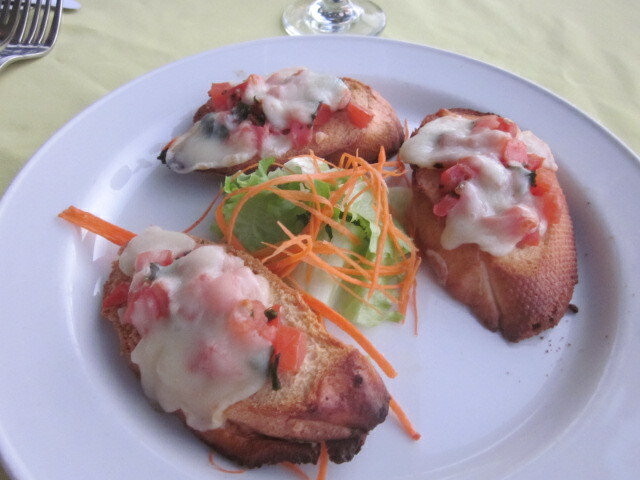 Tortola was our most recent trip and the food did not disappoint, while we did cook in quite a bit; the meals out were wonderful. 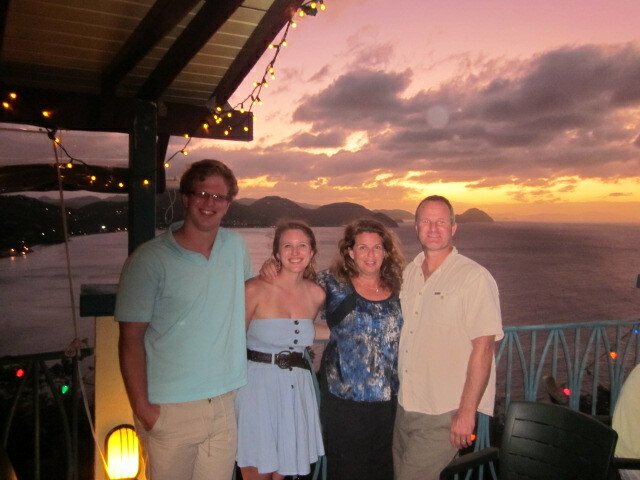 BananaKeet Café has the best dinner sunsets, the Sugar mill was excellent from app’s to dessert. Myett’s closest to us was a good find for our first night in town. D Best cup had a wonderful breakfast right next to the Marina we frequented. Nice when you have to go early to meet the boat when going out for a day cruise. Pussers Landing, in the same harbor, for their potato chip tower. 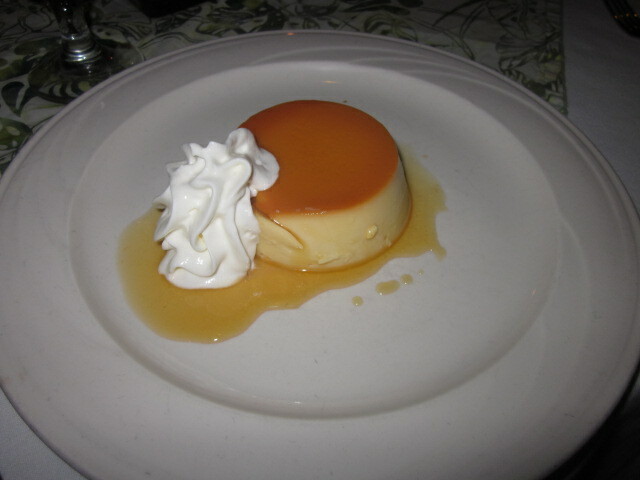 Dove Restaurant and Wine bar had wonderful dinners and desserts – their homemade ice cream is wonderful. Barbados is around a 6 hour flight and Tortola is not the easiest to get to; most take a flight to St Thomas and a ferry to Tortola. It makes for a very long travel day; not my favorite; which is why I add a couple of days to our vacations, just to make up for travel days. Well at least that is how I sell it to the fam. I just love being on vacation. 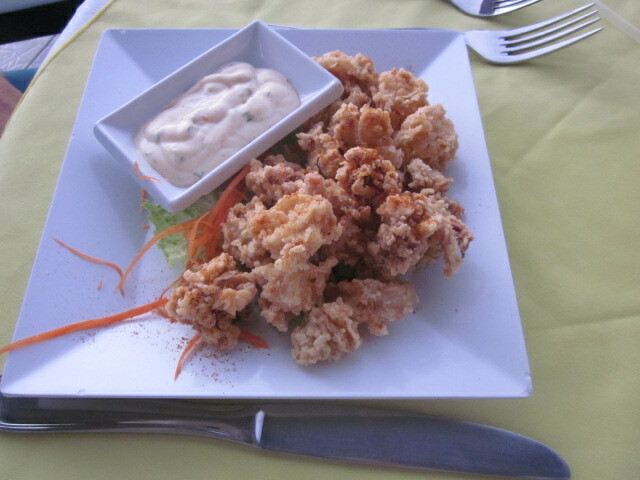 For a “close” to New England culinary delight, I would head to Turks and Caicos Providenciales. If you can; get a direct flight; you could potentially be sitting on the beach with an umbrella cocktail in about 4 maybe 5 hours. Our condo came the usual island magazines as most all places we stay have; but they also had a Dining Guide Magazine; I believe every island, maybe even every tourist location, should have one. We had a blast looking through the magazine and the beautiful pictures and deciding where we would go out to dinner. Our budget went to pot that trip, but we enjoyed every minute of it. I will admit in some instances the food did not live up to the pictures, but it got us out of the condo and spending money. I think it could be very lucrative creating such a magazine, oohh maybe I should write one up for New Hampshire, if there isn’t one already. OMG how much fun would that be going around New Hampshire eating and taking photos of food; my husband; who LOVES to critique: would love being a food critic. I must look into this! Top of my fantasy list is to eat my way through Italy – I hope someday I will be able to write about that!!! This weekend was spent boating on Winnipesaukee with some good friends of ours. Saturday was spent sitting on the boat and playing in the water; lunch was a few sandwich’s that we picked up at a close by deli before heading out for the day. We had dinner reservations in Laconia at O’s Restaurant. The plan was to head back to the boat slip and everyone shower and dress for dinner. 9 of us went by boat for the 45 minute ride to a Marina that we tied to boat up at and walked a short distance to the restaurant. Dinner was awesome!!!! Actually the entire trip was excellent. That is like a way of living I could get used to. I just can’t afford it – Yet!!!! We had a cheese plate made up for everyone to share and we had lovely wine for the ride. 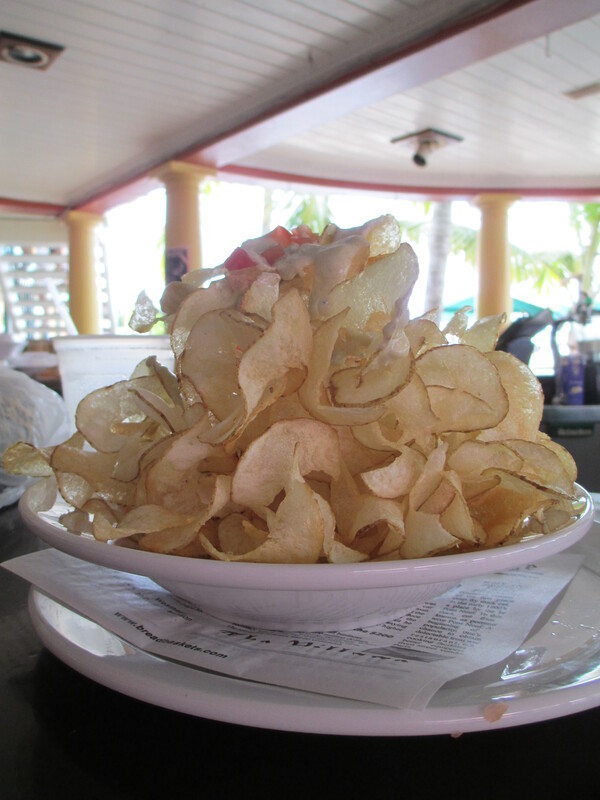 We ordered their Kobe Beef Pop’s and homemade Chips (similar to the chip tower we had on Tortola) for the table. 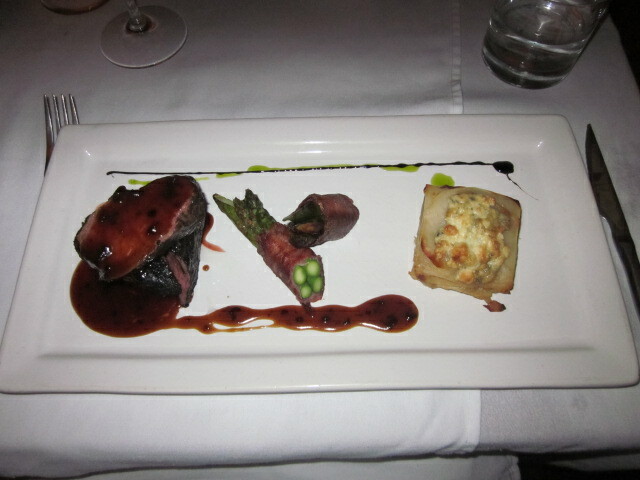 My filet was AWESOME – it just about melted in my mouth. Unfortunately no one had room for dessert. The ride home was just as wonderful!